Recognized as an outstanding performing recitalist, soloist, cello teacher and chamber music coach, Wang has performed extensively in concerts, recitals, and presented master classes throughout the United States and abroad. He has inspired audiences with his virtuosic, lyrical and colorful playing. Recognized as an outstanding performing recitalist, soloist, cello teacher, and chamber music coach, Wang has performed extensively in concerts, recitals, and presented master classes throughout the United States and abroad. He has inspired audiences with his virtuosic, lyrical, and colorful playing. In addition to teaching at Bethel University, he has been a member of the music faculty at Concordia University in St. Paul since 2001, and Hamline University since 2008. He served on the music faculty at St. Cloud State University during the 2001-2002 school year. Wang has also been on the faculty of the Bravo Summer String and Keyboard Institute at the University of Minnesota and Cello: An American Experience, a premier international summer academy at St. Olaf College. He has also taught at St. Joseph’s School of Music in St. Paul since 1995. He was the assistant to world-renowned cellist Jeffrey Solow during their performing and teaching tour in Taiwan, Hong Kong, and mainland China during the summer of 2007. As a sought-after cello teacher, Wang maintains a busy teaching schedule, sharing his captivating cello playing with his students. His students have been first-prize winners in many competitions including the Young People’s Symphony Concert Association, the Schubert Club, Thursday Musical, Minnesota Youth Symphonies Solo Competition, Greater Twin Cities Youth Symphonies Solo Competition, and the Minnesota Sinfonia Young Artist Competition. 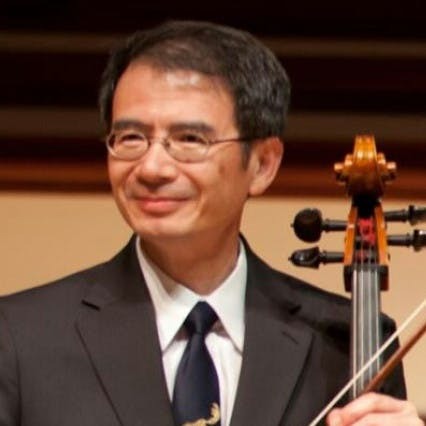 Wang received his Doctor of Musical Arts in Cello Performance from the University of Minnesota, Master of Music in Cello Performance from the University of Kansas, Graduation Diploma in Cello Performance from Shanghai Conservatory, and the Cello Performing Diploma from Fujian Province Arts School. His primary teachers include distinguished cellists Tanya Remenikova and Edward Laut.